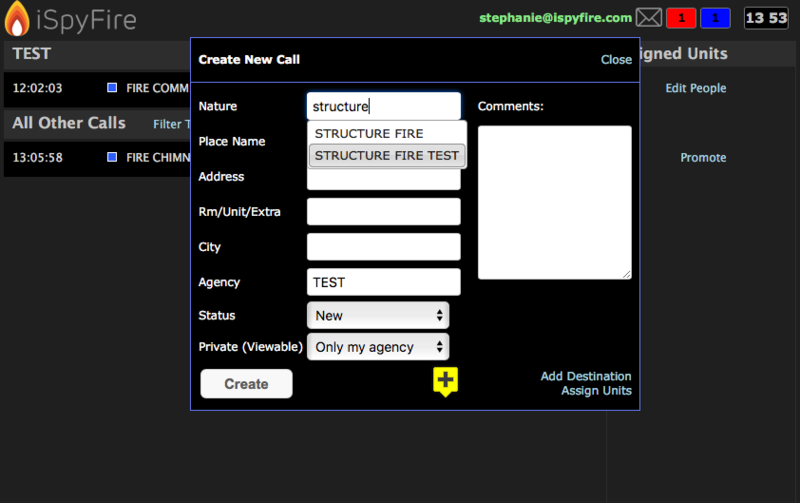 While some (or even most) calls are pumped into iSpyFire from your dispatch center, it is possible to create your own call (we call this a Live call). 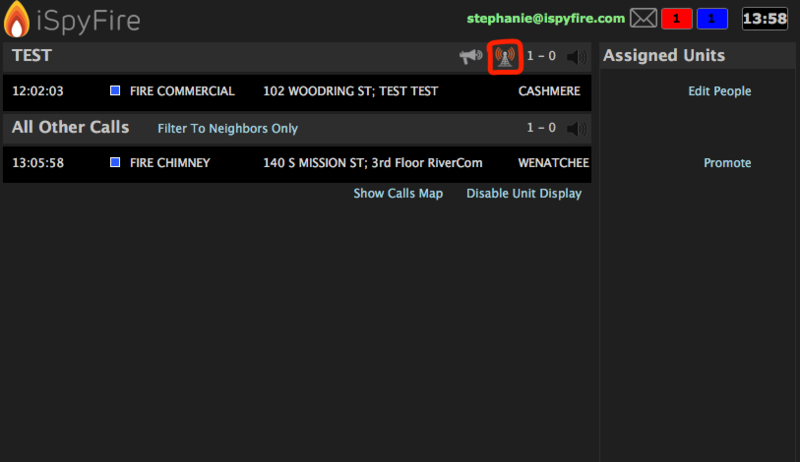 Live calls go through the same workflow and process as a dispatch center call, however you are in complete control. 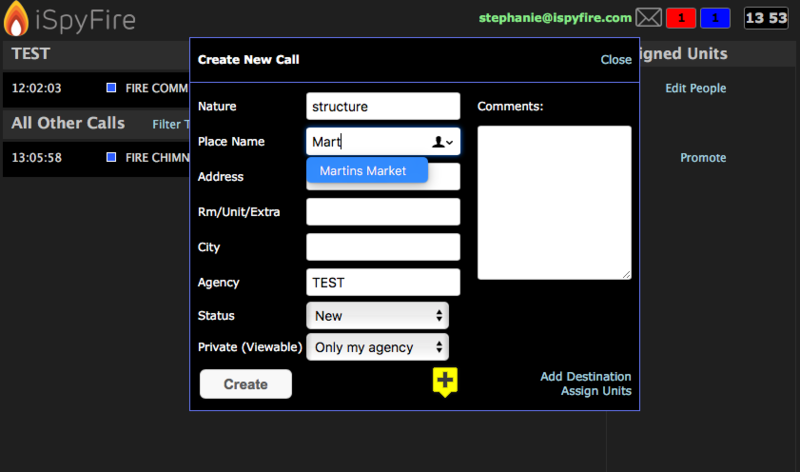 To create a live call your user must have the Dashboard_live and Dashboard_live_edit ACL. Click on the new live call icon "Radio Tower"